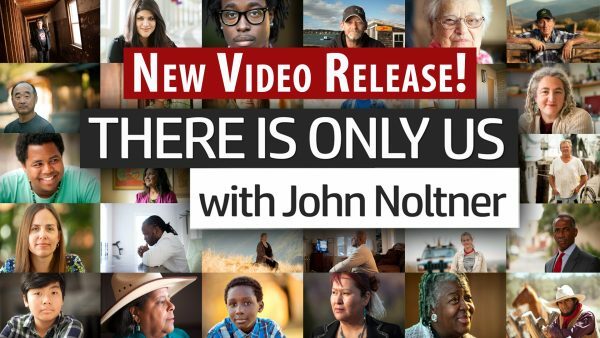 This video program is a powerful way to address how we get along. Featuring memorable stories, powerful images, and sincere storytelling, it will open the door to honest dialogue about empathy, civility, and inclusion. We’ve all heard these old adages: Take a walk in someone else’s shoes; The only constant is change; Don’t judge a book by it’s cover; Nothing ventured nothing gained; Different strokes for different folks. They’re all ideas about how to act toward others, how to listen, and how to understand. In theory, they’re still relevant. Yet in today’s world civility and empathy is clearly deteriorating. People are so wrapped up in their own stories and situations, that it has become increasingly difficult to understand others. Maybe we don’t even try. There Is Only Us was created to generate conversation. It is a thought-provoking and inspirational film reminding us that we are more alike than different. Featuring timely stories, John’s authentic style highlights the importance of being more inclusive. This team-focused program offers a safe place and process to have challenging, but necessary, conversations on ways to create a more empathetic culture.